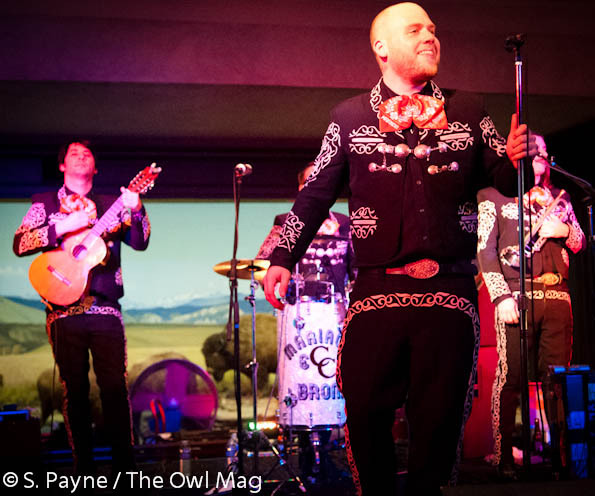 Los Angeles natives Mariachi El Bronx kicked off 2012 with the initial show in the First Fridays at the Natural History Museum Concert Series presented by KCRW. 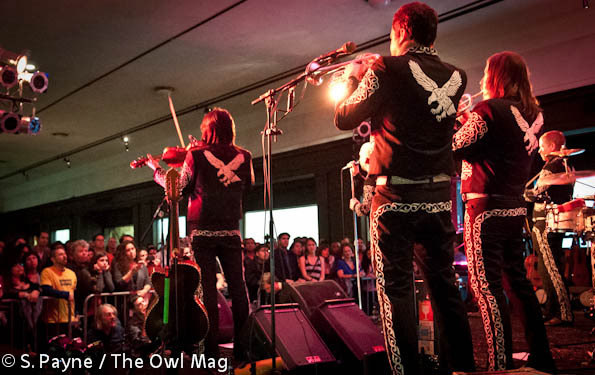 The entire Natural History Museum stays open late so that KCRW DJs can spin, innovative and fresh bands can be showcased, and locals can geek out on dinosaur bones while drinking cocktails. iachi/rock album, to widespread appeal across genre and cultural lines. 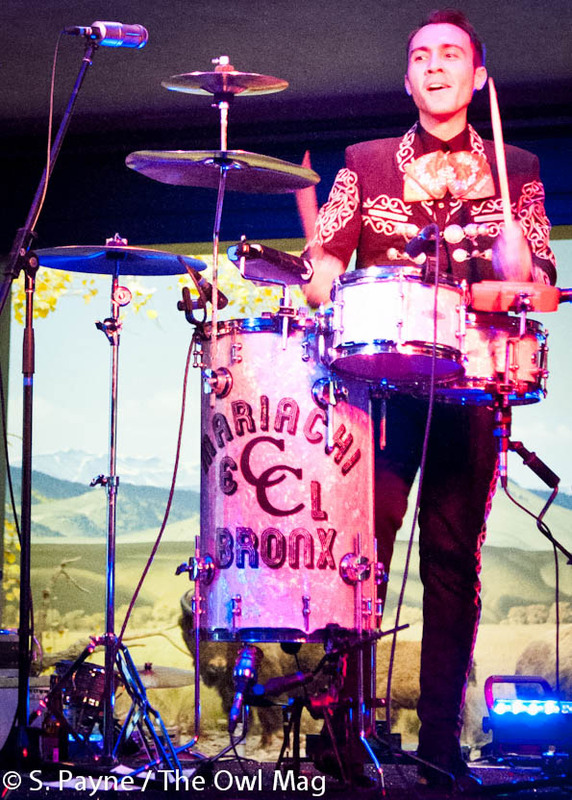 Their newest release is a testament to the fact that this isn’t a joke; Mariachi El Bronx has fully embraced and established itself in the genre, merging traditional Mexican-folk music and punk rock. What’s more punk than that? 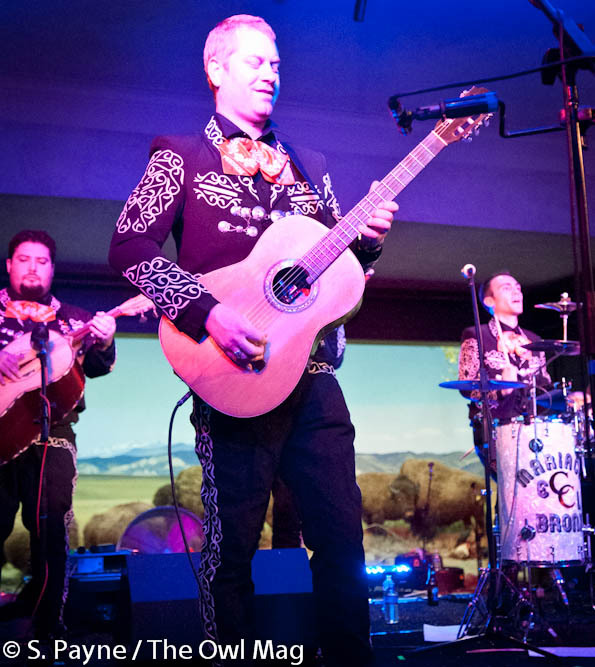 Surrounded by polar bears, wolverines, fur seals and other cuddly North American mammals, the eight-person band clad in traditional mariachi costumes gave the sold-out crowd the upbeat, passionate, and memorable performance it was hoping for. 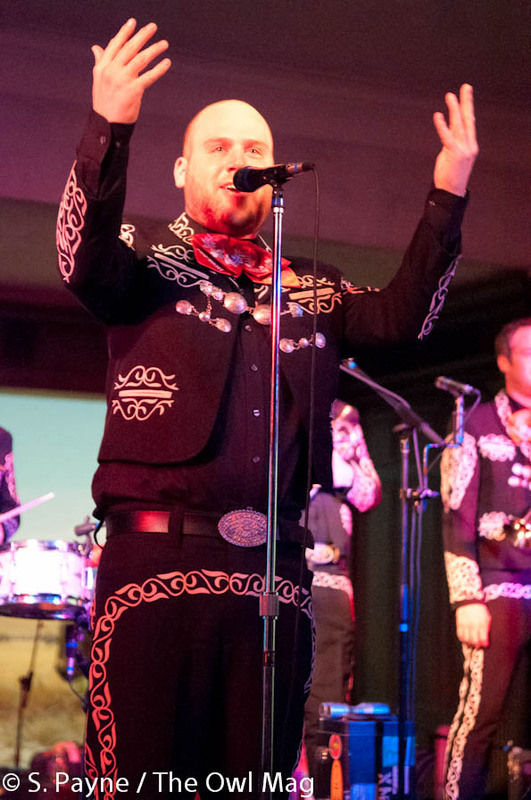 Matt Caughthran (lead vocals) was full of energy, beer, and LA pride, repeatedly thanking the crowd for making them feel so at home before the group sets off to Australia next week.